College is expensive and tuition seems to increase every year. As a result, this leaves many students scrambling to find work or rely on loans. Whether you have student loans or not, it’s best to keep your expenses low during college to offset the cost of tuition, books, and materials which can create a financial strain. The best freebies for college students can help ease that strain. College costs a lot of money, but many expenses are already worked into the cost of tuition. You can take advantage of some of these services to help save money in college, and it’s important not to overlook these opportunities. Additionally, many businesses provide free stuff for college students. Take advantage of these to further stretch your budget. Are you or someone you know headed to campus this fall? 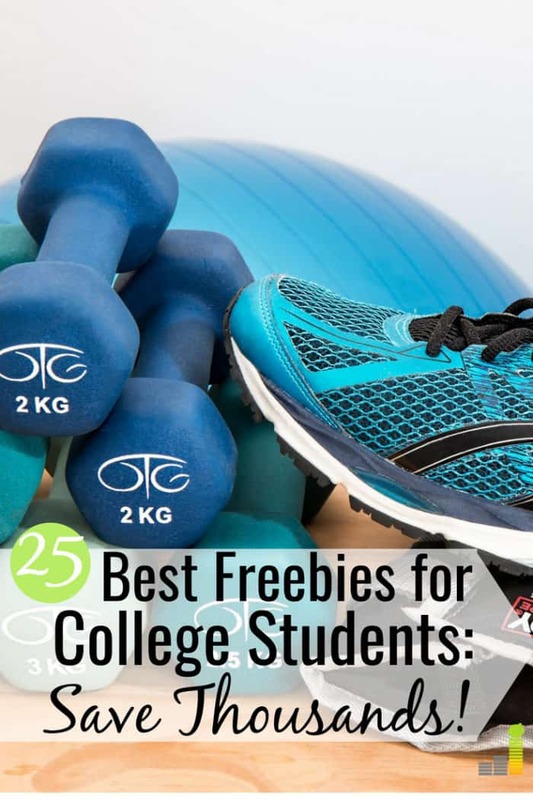 Here are 25 of the best freebies for college students to take advantage of to help save money. Gym memberships can range anywhere from $10 per month for a basic, bare-bones membership to $150+ per month for luxury gyms with all the bells and whistles. Although it’s important to prioritize your health during college, some students can’t afford a gym membership. Luckily, you might not need to pay for one. Most colleges and universities have a fitness center on campus and, as long as you’re enrolled in classes for the semester, a free membership is available. 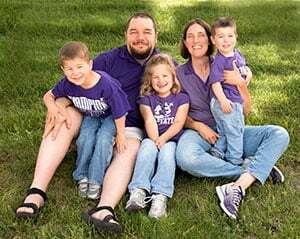 However, some schools may require you to be enrolled at full-time status as opposed to part-time status. It depends on their rules. But even if you’re part-time, you may be able to use the fitness facilities at a discount. Either way, it’s worth looking into so you don’t have to put your health on hold. When you leave college, you will need to look for a new job. If you need help writing your resume, hiring a professional resume writer can be expensive. It’s likely that your college offers free resume writing services and career counseling. This is one of the best free things for college students to use because it will prepare you look for a job once you graduate. Before I graduated, I made sure to visit the career office to have someone review my resume and help me fix it. I had a few appointments with a career counselor as well. This service was included in the cost of tuition at my school, so I wondered why more people didn’t take advantage of it. Most people I know shop on Amazon but they often wonder if paying for an Amazon Prime membership is worth the money. Fortunately, as a college student, you don’t have to do that. Amazon Prime Student includes free two-day shipping on orders, video streaming for movies and TV shows, ad-free music streaming, Twitch prime (if you’re into video games), and discounts on textbooks. The great thing for students is it’s all for free for six months. Once the six months is up, you can continue your membership for just $6.49 per month. In college, you’ll need Microsoft programs for everything from typing a paper to creating a presentation. But before you shell out money for the pricey Microsoft Office, you should probably check out Office 365, the online version of the Microsoft Office. There’s no trial or expiration date. As long as you’re a student, you can get Office 365 for the ‘Free 99.’ To get started, click here. All you need is a valid school email address. In addition to all the Microsoft Office programs, you’ll get 1TB of online storage for free. 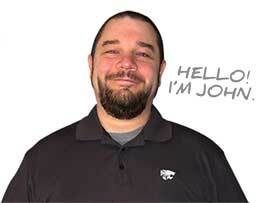 You may find other software companies offering freebies for college students. Your campus bookstore is a good place to check. Food is something you can easily get for free so there’s no reason to be a starving college student. There’s usually free events on campus that will have food including special lectures, student organization mixers, and festivals. All you need to do is show up and that free food is yours! To get your free drink, all you need to do is show your school ID. How easy is that? These are only a sample of chain restaurants offering free food and discounts to college students. And for even more free food, check with local restaurants to see what discounts or freebies they offer. If you enjoy keeping up with the news and don’t rely on Facebook as a credible news source, The Washington Post offers a discounted student subscription. A Washington Post subscription usually costs around $100 per year. While they used to offer free plans for students with Amazon Prime Student or for those with a .edu email address, the options have changed. Rather than the free plans, they now offer $1 for your first four weeks and a discounted rate of $5 per month after so you’ll still save some money. We all love budgeting around here. Starting a budget in college is highly recommended because you’ll learn how to manage your money better and live within your means. YNAB, which stands for You Need a Budget, is a popular budgeting software program that includes bank synching, debt paydown, and goal tracking features to help you get comfortable sticking to a realistic budget. YNAB normally costs $83 per year, or $6.99 per month. However, they offer a 12-month free enrollment to college students. If you’re interested, email student@ynab.com with proof of enrollment. Your student ID card, transcript, tuition statement or anything that shows you are currently enrolled works as proof of enrollment. Make sure to also include your name, your school, and the date. During college you should be primarily focused on your studies. Not having to worry about certain expenses can be a huge relief. 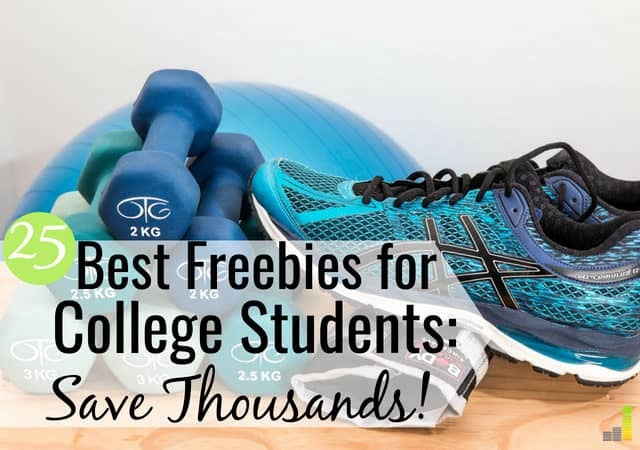 By taking advantage of some of these best freebies for college students means you can focus more on schoolwork and worry less about finances. Which freebies for college students did you use when in school? Besides taking advantage of free stuff, what are some other ways to save money in college? What’s one thing you regret not taking advantage of in college?